Cassandra Ortiz is a certified care manager who provides elder care consulting for families with aging loved ones. For over 20 years she has been working within the Bakersfield community and Kern County to provide care management services. 14 of these years were spent working with Around the Clock and Coordinating Care Management, also known as Bakersfield Care. Cassandra is excited to be able to work with those facing aging care challenges. If your family is unsure of the options available for care, Cassandra and her team are ready and waiting to help you. The Infinity Care Solutions team has extensive experience providing outstanding value for a client’s financial investments in care. This care for seniors and disabled adult creates peace of mind for families. A comprehensive review of the unique care needs of your aging or disabled loved one means that the presented care options are created to reduce family stress, worry, and insecurity about the future care required. An aging life or geriatric care manager is someone who meets with families and their aging loved ones to hear the needs and review the situation. This assessment of the activities of daily living, general health, psychological and cognitive needs, medications, and their home environment and safety. With this information, we create a plan of care that outlines the concerns and challenges involved and the solutions to meet those needs. We specialize in Medi-Cal and Social Security benefits review. We will help guide you in the process of getting the benefits that are available for you. Sandy Espinoza has worked as a care manager for over 6 years. She specializes in helping individuals and families by linking them to available resources such as Medi-cal, Medicare, social security and Veteran benefits. Debra has almost 15 years of case management experience serving children and seniors. She is a native of Los Angeles, CA and graduated with a B.A. in Sociology from Cal State University of Bakersfield. Lois has been a registered nurse for the past 25 years. She has a wealth of experience assisting seniors and providing medication management to meet their individual needs. Lois establishes a personal relationship with each client and coordinates medical services for optimal care. Rebecca has been in the medical field for over 20 years and has been a nurse for 7 years of that time. She has worked as a Home Health Care Nurse, care manager, and has assisted families facing challenges in aging. She is bilingual in Spanish and she loves working with people and making a difference with her work. 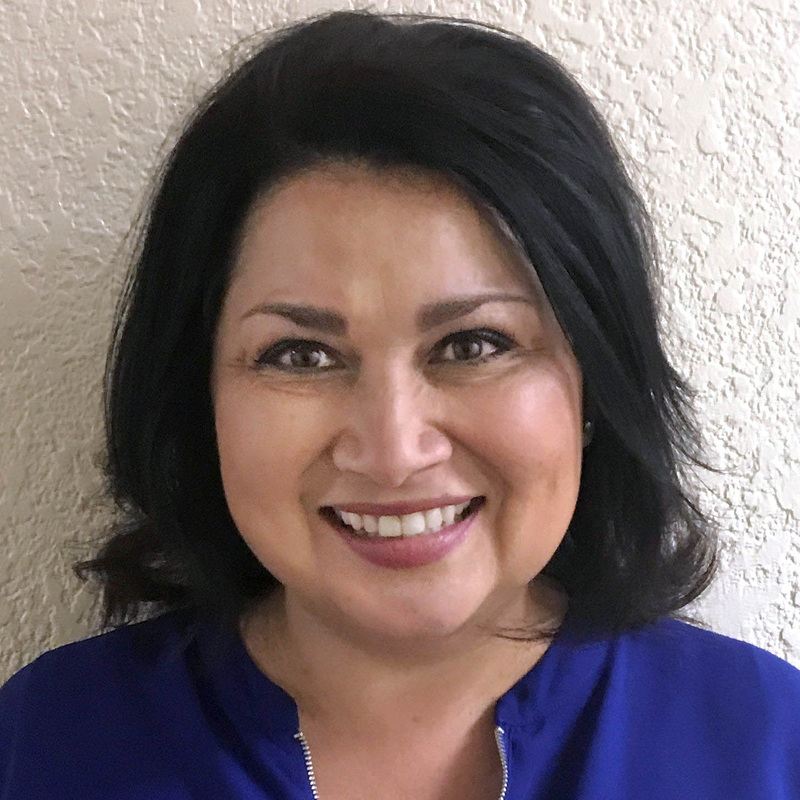 Gloria Cantu is a Bilingual Care Manager offering specialized services to individuals and their families throughout California’s Central Valley. Gloria provides highly individualized services responding to client’s needs during and beyond the regular work day. The continuum of care provided by Gloria begins with a comprehensive approach including an initial assessment, detailed care planning, cooperative service coordination, and monitoring. With over a decade of experience working with industrially injured workers as a Vocational Rehabilitation Consultant, she understands the importance of providing individualized care to clients from all walks of life challenged with disabilities and limitations.